I decided to go dairy-free for this coconut ice cream because someone close to me was recently diagnosed with a dairy intolerance. So I thought it would be fun to try out something new – and let me tell you, I didn’t miss the cream at all! A can of coconut milk gives this ice cream a rich and creamy texture. I love lots of “chunks” in my ice cream, so I added tons of toasted coconut and some chopped up vegan chocolate – each bite of smooth and creamy coconut ice cream is full of toasted coconut and chocolate chunks – it is out of this world! You won't believe the smooth and creamy texture in this Dairy Free Toasted Coconut Ice Cream! You won't miss the dairy at all! Add the coconut milk, dairy-free milk, coconut extract, honey, sugar, xanthan gum, and salt to a blender. Blend on high speed until mixture is thick and creamy, 1-2 minutes. Place the mixture in the refrigerator to chill for 2-4 hours. Add the chilled mixture to an ice cream maker, and churn according to the directions. Add the chocolate and coconut toward the end of churning. Transfer the churned ice cream to a container, and freeze until ready to serve. If you want to join in the fun, we’re using the hashtag #weekofsundaes on social media all week long! This looks delightful, Cate! I’ve been wanting to try my hand at a dairy-free ice cream recipe, as I also have a few dear friends and colleagues with dairy intolerance. This looks PERFECT for them!! Thanks, Leah! Your dairy free friends would definitely love this – mine did!! This sounds SO good! I love toasted coconut, but I wouldn’t have thought to put it in ice cream. Love the coconut milk too! Coconut and chocolate are so good together. Thank you so much, Beth! I love coconut + chocolate! Toasted coconut is such a magical thing! haha I love it! This ice cream sounds amazing! You are so right Ashley – it is magical!! Thanks for stopping by! Once you start making ice cream with coconut cream, you may never go back to dairy!! At least that’s been my experience. I LOVE it with coconut cream, and with chunks. This is right up my alley! The coconut cream makes it so creamy!! Thanks, Nora! I love my Cuisinart Ice Cream maker! So easy to use – and it’s pink! I just know I’m going to LOVE this dairy free ice cream. Coconut and chocolate are an awesome combination – I’m all about those chunks! Delicious Cate, and sure to show up in my kitchen soon! A pink ice cream maker?! Perfection!! Thank you so much, Amy! I was surprised by the dairy-free recipe, but pleasantly so. The ice cream looks delicious, and your photos are stunning! Thank you so much, LeAndra! Wow, I love all the toppings in their…adds so much great texture! Thanks, Cathy – I’m a toppings fanatic! What a great giveaway! I love that this ice cream is dairy-free and vegan. I’m right there with you on the loads of toasted coconut! I normally don’t like chunky stuff in my ice cream but toasted coconut I could totally do. I love that you made this dairy free! Plus coconut is the perfect flavor for summer – light and refreshing! One of my favorite things to make is ice-cream…your toasted coconut ice-cream looks fantastic! I just love using coconut milk in baking and especially in ice-cream!! Coconut milk always makes for such creamy ice cream, it’s the perfect dairy substitute! And I bet that toasted coconut added so much flavour too! Pinned. Thank you so much – and thanks for the pin! woohoo! that is one stunning ice cream recipe and one stunning ice cream maker! Best monday ever! Brilliant idea, girl! As someone who used to be lactose intolerant (pregnancy is weird and flipped the switch for me, which is awesome), I would’ve KILLED for ice cream like this. It looks decadent and delicious, and I cannot wait to try it! Summer has gone by WAY too quickly! 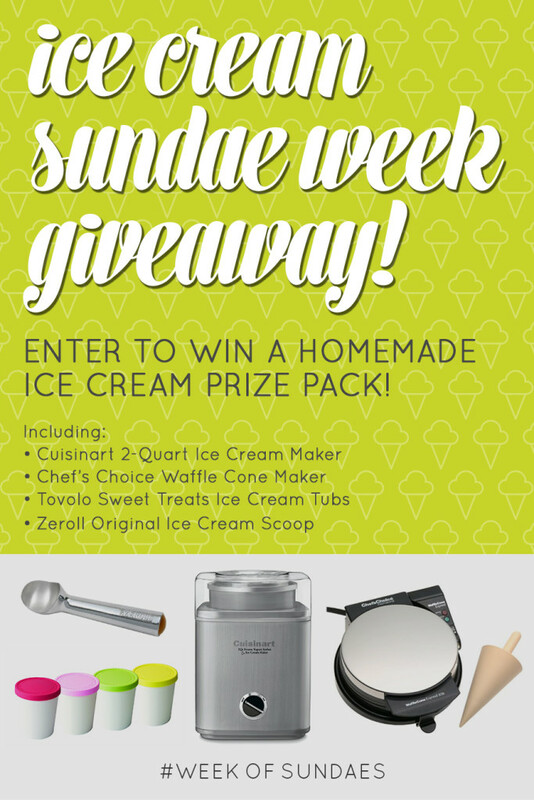 Such a fun giveaway and I am loving this ice cream! I can’t believe it is dairy free! 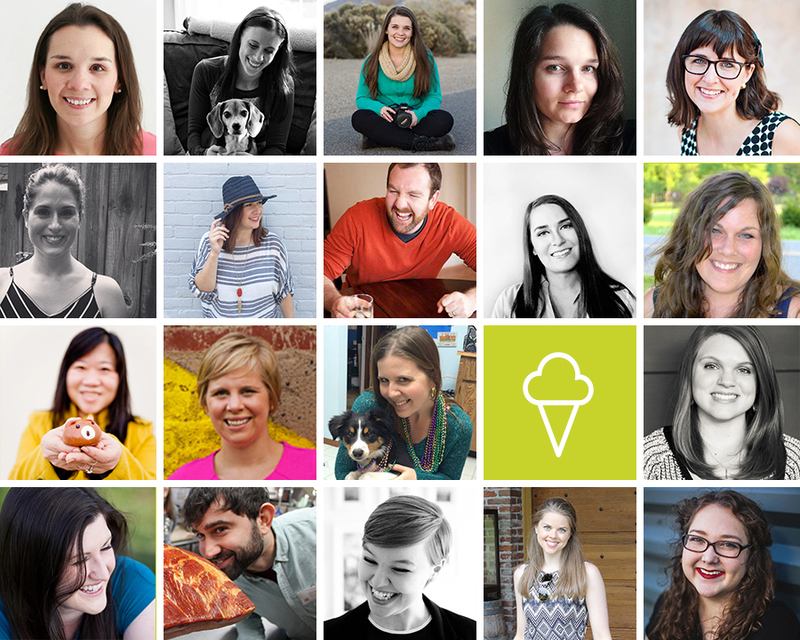 You guys are all rocking this ice cream week! I am craving ice cream now! You had me at toasted coconut! I mean WOW – really?!?! This looks INCREDIBLE and I KNOW I would love it! You know I love healthier, more nutritious spins on recipes, and I’m so excited about the amazing substitutions you’ve made to bring ice cream up to a whole new level! Toasted coconut is one of my fave flavors in ice cream, too, so this is making especially happy, happy! Can’t wait to pin this to share! You had me at toasted coconut. Ah…. who am I kidding! You had me at ice cream too! This looks and sounds delicious dear! ooooh this ice cream looks so addictive-I love toasted coconut! What a fun, yummy giveaway! Thanks for the chance! I have so many ideas for homemade ice cream! Yum!